It is the beginning of 2017 which can mean only one thing. It is time to look back at the top 10 Linux distributions of 2016 in order to analyse their suitability for the everyday Linux user. The idea of this guide isn’t to pitch one distribution against another and the list is not my personal choice of the best distributions from 2015. The list is the top 10 distributions as found on Distrowatch. The point of this guide is to look at each of the top 10 distributions and to highlight how suitable the distribution is for the everyday Linux user. The list is ordered in the same way they are on Distrowatch. I have no doubt in my mind that Linux Mint is the most suitable distribution for the Everyday Linux User and I would recommend this over any other distribution. It is no surprise therefore that Linux Mint is also the number 1 distribution on Distrowatch. The installer for Linux Mint is very straight forward although the installer now no longer includes multimedia codecs by default. This detracts in a very small way from the “must be ready to use straight away” category but the fact that the welcome screen includes an option for installing 3rd party software makes this a very minor point. In all honesty the trade off is that the web page is now slightly less confusing because there are less options to choose from. After you have installed Linux Mint you can use the welcome screen to install multimedia codecs and additional drivers for your graphics card and other devices. 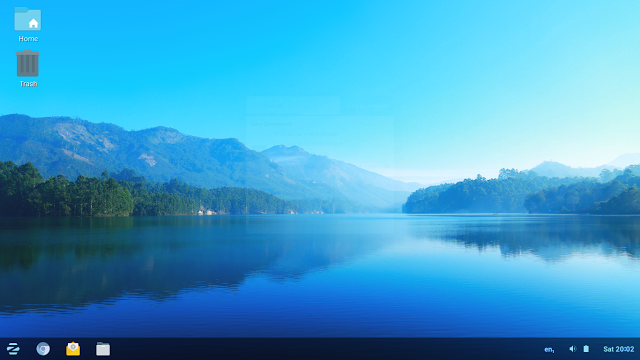 The Cinnamon desktop environment is not only pleasing on the eye, it is also very straight forward to use. If you know how to click a menu button they you can easily find the application you are looking for. As a drop in Linux distribution for Windows users it is perfect. Linux Mint comes with all the applications a standard user needs to get started including the LibreOffice office suite, the GIMP image editor, an image viewer, the Banshee audio player, VLC media player and Thunderbird email client. There are all sorts of other tools installed as well. There is also a fairly intuitive graphical software installer and it works well. Steam, Dropbox and Skype are all available from the graphical installer. Linux Mint works with all the hardware devices I have tried including an Epson WF2630 printer, a WD MyCloud NAS drive, an Android phone and Sony Walkman. The current version of Mint is the long term support release and there is no better time to use Linux Mint than at the start of an LTS release. 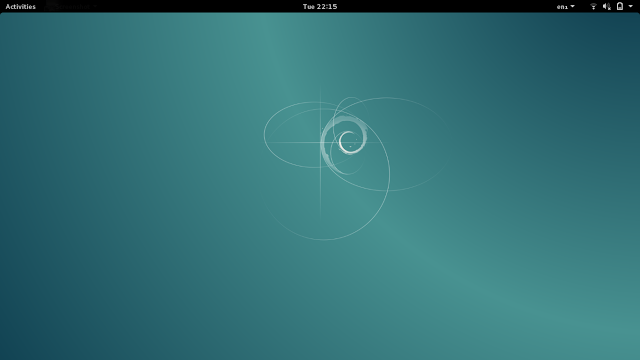 Debian has been around for absolutely ever and it is has often been the base distribution for other easier to use distributions. For the Everyday Linux User I would say that there are easier starting points and I would also say that you would need a really good reason to want to use Debian over Linux Mint or Ubuntu. I always get battered for this in the comments section but just trying to find a version of Debian to download is a skill. My last review was in June of 2015 but even if I look today the website is the same archaic monolith of links. 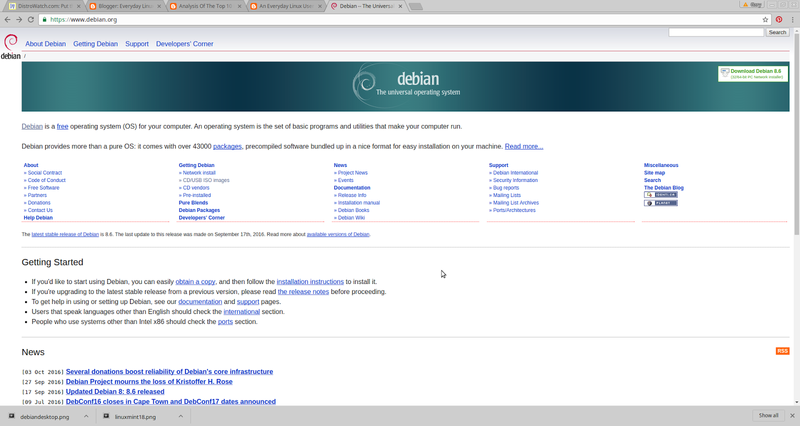 The above image shows the front page of the Debian website. 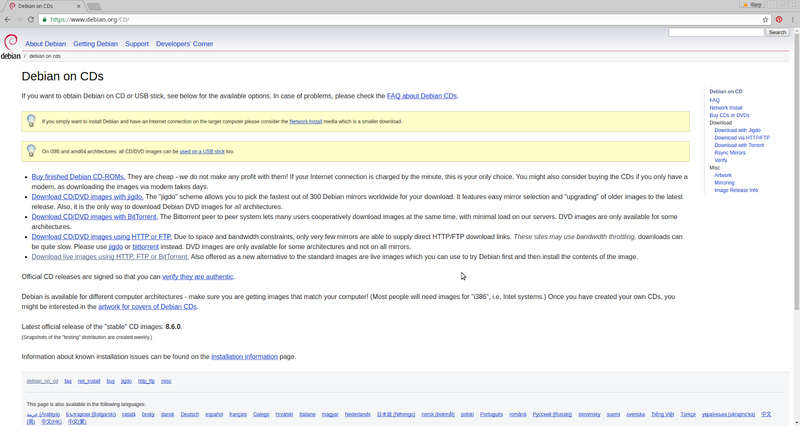 In the top right corner there is a link called “Download Debian 8.6”. However this is a network installation option and if you want to try a live version of Debian first then this isn’t the option you require. There is a grid of links on the front page and in the 2nd column there is a section called “Getting Debian”. 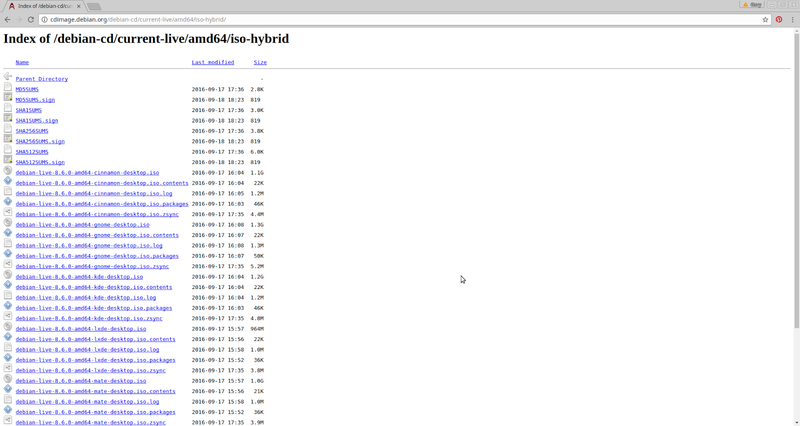 Under this heading you will see a link called “CD/USB ISO images”. When you click on the “CD/USB ISO Images” link you are taken to a page like the one above. Another set of links. There are options for downloading with Jigdo, downloading with BitTorrent or downloading via HTTP/FTP. Clicking on the “download via HTTP” takes you to yet another page. This time called “Live install images”. You can choose between Bittorrent or http and you can choose 64 bit or 32 bit. Finally you get to the point where you can download an ISO but there are so many files to choose from. In my opinion the website should be changed to provide a simply download option. Choose your architecture, choose your desktop environment, choose your download method, choose between 32-bit and 64-bit. 4 drop downs and a a download button. That is all that is required. The Debian installer is also a bit overcooked. To be fair Debian isn’t just for the new user and so there are many options as a new user you wouldn’t care about and probably don’t know the correct answer to. After you have installed Debian you will find that it is generally as easy to use as Linux Mint or Ubuntu. The software that comes pre-installed is determined by you at the point of installation so you can have as little or as much as you like. For installing applications there is Synaptic which is a decent if somewhat basic package manager. (Click here for a guide to Synaptic). In my opinion Debian is fine for the Everyday Linux User once you get past the website and the installer. You also get a choice of many different desktop environments at the installation stage. Click here for a list of the best desktop environments and if you don’t know what a desktop environment check out this guide. If you are thinking of trying Linux and you haven’t heard of Ubuntu then the question has to be asked “where have you been?”. Ubuntu is possibly the most well known Linux distribution of them all. 2016 saw the release of the latest LTS release and generally speaking it is the same Ubuntu we have come to love over the years although it isn’t perfect. Installing Ubuntu is very straight forward and the installer has been made even easier for the latest releases. As Linux Mint have chosen not to include the multimedia codecs as part of the default install it has put Ubuntu back on a level playing field. You can install the multimedia codecs as part of the installation within Ubuntu. It is worth noting that you should connect to the internet before the installation as this is no longer provided as an option. Click here for a guide to installing Ubuntu alongside Windows 10. Ubuntu comes with a decent set of applications as standard including the LibreOffice office suite, Rhythmbox audio player, Totem media player and Thunderbird email client. 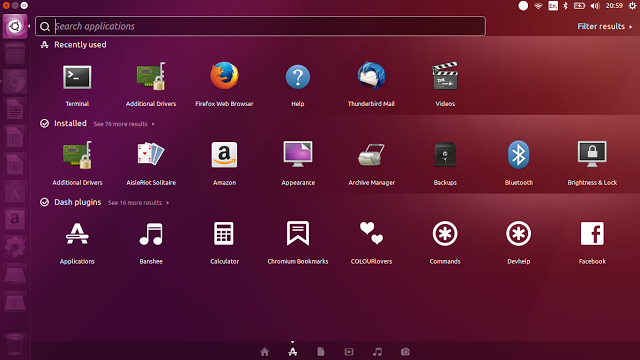 The big let down with Ubuntu is the graphical software manager. It doesn’t include options you would expect to see such as Steam. The Software Centre may have been replaced with something new but for me it isn’t any better. Hardware support is very good. I could connect to the printer, MyCloud device and other devices with the minimum of fuss. From a usability point of view it all depends on how well you get on with Unity. I like the Unity desktop environment and find it very intuitive. The use of keyboard shortcuts is a great time saver and having elements such as audio, video and photos integrated into the dashboard display is brilliant. I would definitely recommend Ubuntu to the Everyday Linux User but with the caveat that you may hit some issues along the way. The community is very good however and you can usually find simple instructions for resolving issues. I haven’t reviewed openSUSE since April 2015. The point of this list isn’t to review each operating system but to express how suitable they are for the everyday Linux user. openSUSE is definitely suitable for the average person except that the installer isn’t the easiest that I have ever used. It is possible that it has changed in the past 18 months so I will update the guide if that is the case. There are 2 versions of openSUSE available. Tumbleweed is a rolling release version which means you can install it once and it will continually update so that you always have the latest and best version available. The other version is openSUSE leap which is released in regular cycles. The website for openSUSE now lists 2 download options. You can go for the full whammy of 4.7 gigabytes or you can download a network installer which will let you choose the packages you install as you go along (much like Debian). The main thing I have found about openSUSE over the years is that it is very stable and once you get it set up with the software you need it is a great distribution. There are some things that make it not quite as easy to use as say Linux Mint such as the fact you need to find use 1 click installs to install multimedia codecs and Flash. I definitely need to revisit openSUSE and I intend to do that within the next week or so. I would recommend giving openSUSE a go if you are looking for an alternative to Ubuntu and Linux Mint. I can’t give enough praise to the developers of Manjaro. This is an absolutely superby Linux distribution. I am not usually a big fan of the KDE desktop but the Manjaro implementation is brilliant. For those of you unaware, Manjaro is based on Arch Linux which in the past has been for the more experienced and technical computer users. Manjaro has basically made Arch available to the masses. 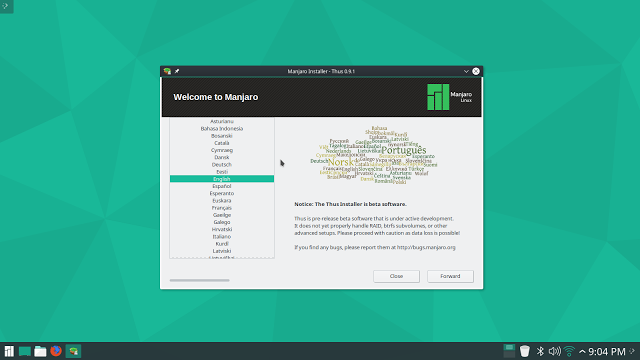 The installer for Manjaro is very straight forward to use. It is every bit as simple as the Linux Mint installer. There is a decent set of software which gets pre-installed with Manjaro including the Cantata audio player, Steam, Kdenlive video editor, LibreOffice office suite, KMail mail client, Digikam photo management and the VLC media player. There are a number of other applications but these are the main highlights. The version of Manjaro I tried included Octopi as the graphical installer and it is perfectly functional for installing applications. If you are brave enough then I definitely recommend this to the Everyday Linux User. The performance is great and you get instant access to the Arch User Repository which means you can download and install a huge array of applications and packages. Another review I need to work on in the next couple of weeks is for Fedora. The last review was in March of 2015. In Fedora years that is a century. Fedora is very much about the here and now. It is a distribution which isn’t afraid to try new things out and the fact that it uses Wayland by default instead of X shows how far it is willing to go. Wayland is a replacement windowing system for X which has been around since the beginning of time. Fedora is generally very easy to install and the Anaconda installer is every bit as good as the Ubuntu or Mint installers. 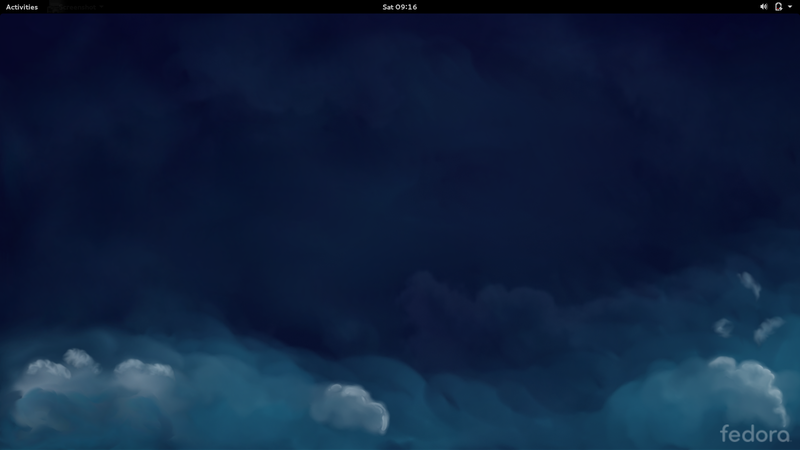 The vanilla version of Fedora comes with the GNOME desktop and so you can expect a decent set of applications such as the Evolution mail client, LibreOffice office suite, Rhythmbox audio player and Shotwell photo manager. 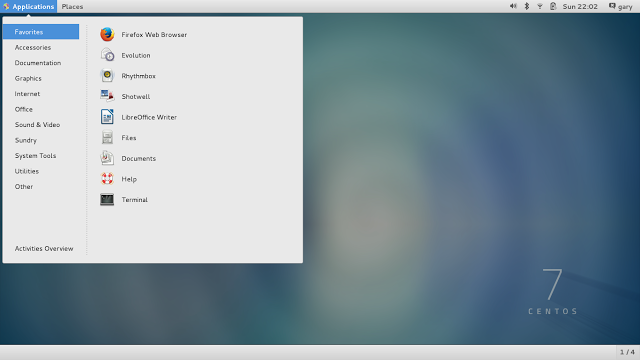 Installing applications is performed via the GNOME Package Installer and it works very well. Fedora is a community distribution so you have to include other repositories in order to install proprietary applications such as Chrome and Steam. It isn’t difficult but worth considering. Performance due to Wayland makes Fedora great but there may be a trade off with stability which is what I found last time I used Fedora. Definitely worth a go as an Everyday Linux User but won’t be everybody’s first port of call. Zorin has had a makeover for the latest release (version 12). 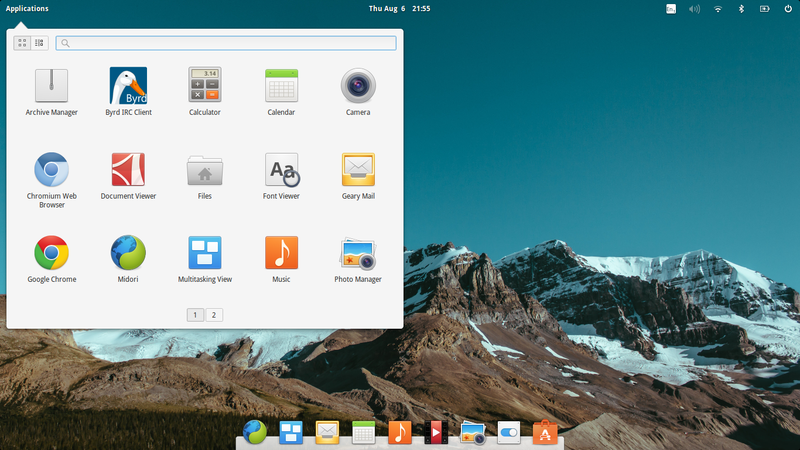 The desktop environment is undoubtedly GNOME but implemented in a slightly different way to other distributions. To be honest Zorin looks better than it has ever done and it feel like a really grown up operating system now rather than a stepping stone for disgruntled Windows users fed up with Windows 8. Installation is a breeze. You do need to use a piece of software called Etcher however to create the USB drive in the first place. The user interface looks crisp and clean. 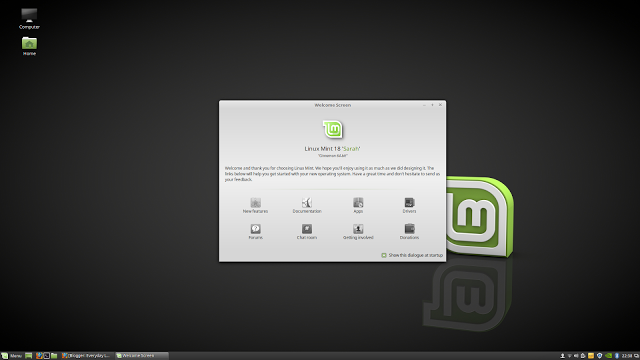 It blends the traditional feel that Linux Mint provides using Cinnamon with the modern interface of the GNOME desktop. You basically therefore get the best of both worlds. There is a plethora of applications installed by default including the Chromium web browser, Geary email client, GNOME photo manager, weather app, maps, GIMP image editor, LibreOffice office suite, Rhythmbox audio player, Totem video player and for those of you who still want Windows programs WINE and PlayOnLinux are both installed. For the Everyday Linux User I rate this as highly as Linux Mint. Give it a go. I last looked at Elementary in August 2015. I will be reviewing the latest version shortly. The thing to say about Elementary is that it is pixel perfect. It is definitely a distribution aimed at the Everyday Linux User and everything has been carefully constructed to provide the usability that the average person would require. 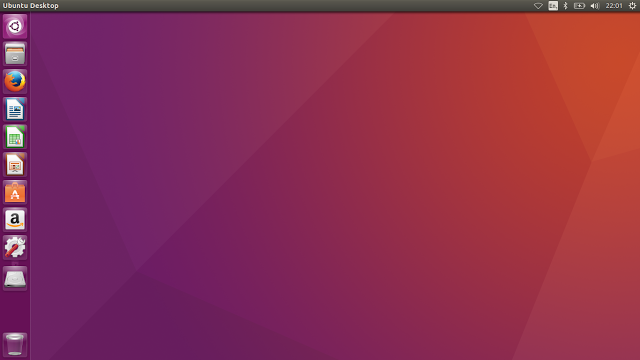 Elementary is based on Ubuntu so the installer is straight forward. Click here for a guide to dual booting Elementary with Windows. As you can see from the images the menu is very MAC like but you will also appreciate how simple it is to use. There is a docking panel at the bottom with launchers for commonly used applications. There is a basic set of applications which come pre-installed with Elementary although they tend to be lightweight in nature. You can always use the software manager to install new software. Elementary is definitely worth a go especially if you use your computer for basic tasks such as browsing the web, sending emails and looking at photos etc. I last reviewed CentOS in September 2015 but it is still at version 7 so therefore still relevant. CentOS is a community distribution based on Red Hat Linux. Think of CentOS as being a stable version of Fedora. Where Fedora is everything that is cutting edge, CentOS is everything that is stable. The installation of CentOS is straight forward and achieved using the Anaconda installer. 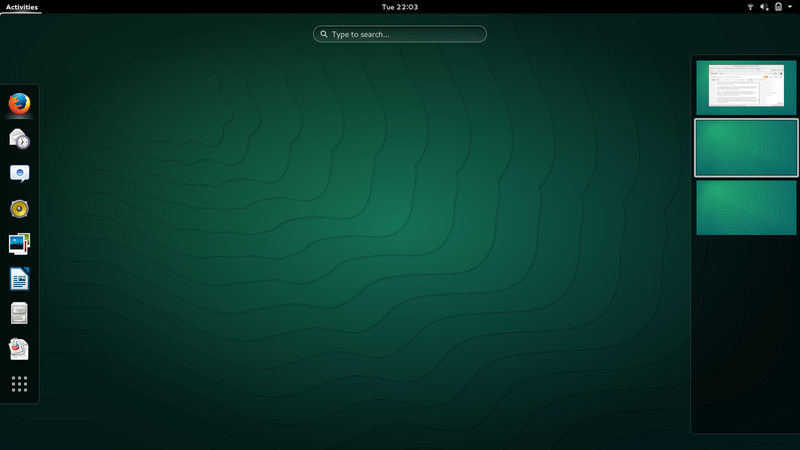 The default desktop is the GNOME. The applications that come with CentOS are the LibreOffice office suite, Evolution mail client, Rhythmbox audio player, Shotwell photo manager and FireFox web browser. There are many other applications but these are the key ones. Installing software is performed using the GNOME package manager and as with Fedora you need to add extra repositories to get to the good stuff. Hardware works perfectly and I was able to connect to the WD MyCloud storage and print using the Epson WF2630 printer. If you want a stable Linux distribution and an alternative to a Ubuntu based distribution then CentOS is 100% worth a try. Finally there is Arch. This isn’t a distribution for the Everyday Linux User. If you want to get your hands dirty and learn for yourself how things work and how to get the most out of your operating system then be prepared to install Arch, read manuals and probably be slightly frustrated at times. Arch Linux is by all accounts a very good distribution. A large number of people will testify to this fact. it isn’t for me. It is not aimed at me and it is not aimed at the Everyday Linux User. If you want to try Arch as an Everyday Linux User give Manjaro a try. It is worth noting that the 2 distributions that fell out of the top 10 in 2016 were Android x86 and Mageia. Oddly enough Mageia is probably better than it has ever been yet now it has fallen down the list a little bit to number 12. Android x86 is a hobby project. I suspect people have given it a go but it isn’t something that works overly well on a desktop or laptop computer. You definitely need a touch screen. Thankyou for reading and bookmark the site because the next few weeks will be loaded with distribution reviews. There is an easy way to get Arch, which should be useful for EveryDay Linux Users. It is Antergos, which I have found easy to install, absolutely stable and containing all the apps most users will require. I have found it more stable and easier to work in than Manjaro. Gary, that has to be one of the funniest reviews of Arch I've ever read. As an Arch user, I commend you for it. I also commend you for your recommendation of Manjaro, and commend Bernard Victor's recommendation of Antergos. I've used both extensively in everyday computing, and they are both top-notch Arch-based distros. I recommend more Manjaro than Antergos. I used Antergos for 1.5 year and had to re-install 3 times during this period. (some updates coming directly from Arch repository which wasn't perfectly tested for my system). It's been 1.5 year now on Manjaro and never got any re-install to do as of now. The testing from Manjaro community seems to do the job! I also keep Linux Mint 18.1 along side just in case. Most the top 10 distros (as deemed so by Distrowatch) are hardly "suitable for the average person". 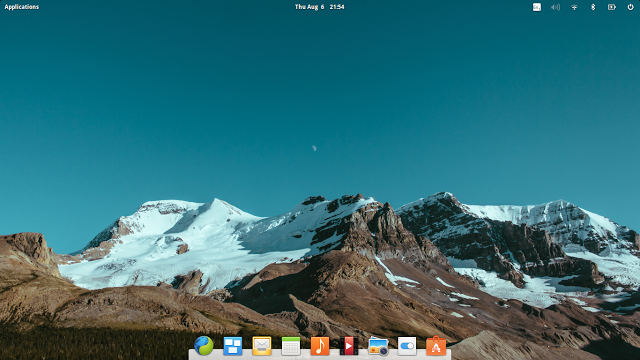 Distros like Linux Lite; Lubuntu; Ubuntu Mate; LXLE; Xubuntu; and even your recently reviewed 4QOS are infinitely more user friendly; more complete out of the box; and far more stable. I think PCLinuxOS should get an honorable mention for average users who want/need to avoid systemd — last I saw, the other options either had smallish repos or required technical knowledge. On the other hand, average 'everyday linux'user probably doesn't care either way when it comes to systemd. So, basically, lotta pretty good distros out there. Sweet. I see you mentioned Android x86. Are you familiar with Remix OS? It's like Android x86 but the GUI is like Windows, for use with a mouse and keyboard. Furthermore, the creator of Android x86 is on the Remix OS dev team. > Synaptic is not a package manager, but a GUI to apt, which in turn uses dpkg to actually register/install .deb packages. > GNOME's Software front-end is also not a package manager, but a GUI to the underlying yum/dnf and eventually rpm. > CentOS is not a stable Fedora. It's a distribution geared towards rarely updated workstations or servers. Also, it's not merely stable, it's actually ancient with its kernel and package versions. I would personally recommend OpenSUSE as a "stable Fedora" over CentOS. > It's funny to spend the whole length of a Debian review complaining about how difficult it is to get the .iso. It's NOT that difficult. Actually, by specifying the Google search properly you'll get directly to the correct website :). Also, there are lots of Debian-based distros that make the Debian experience a lot easier like Bunsen Labs, SolydXK or MX. I like your article. What I also look for is the following. Can I easily change to a left-handed mouse (I use one). Can I easily disable the touchpad so I can type something? Can I use wifi out of the box (I have a Broadcom card so that is important to me). Some of the installers end with me starting at a black screen. That ever happen to you? Mint does that to me.